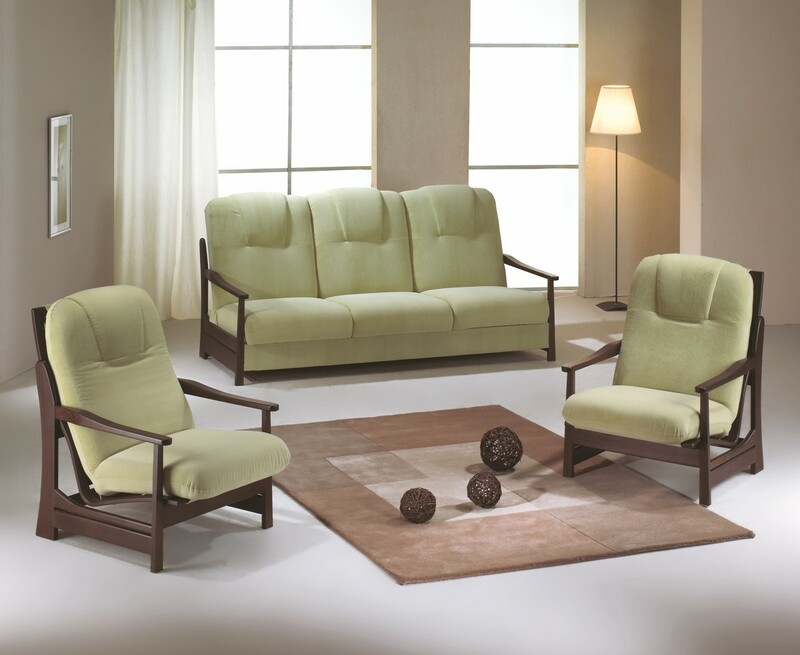 An elegant couch set in a combination of high-quality upholstery and solid wood with a high backrest ensuring maximum comfort. The couch offers a simple system of click-clack unfolding which converts it into a comfortable sofa bed. Additionally, a storage area with the dimensions of 176 x 74 x 20 cm can be found underneath the seat. The seats of both the couch and the armchair are filled with polyurethane foam attached to a spring structure, which is supported by wooden slats set in a beautiful bentwood shape. Various combinations of wood types and upholstery can be tested in our Custom design program. The wooden components can also be custom stained in the shade of a provided sample.